I first met in person with Mary E. in the summer of 2007. I had arranged with her husband of fifteen years, Terence, to see her for an interview. 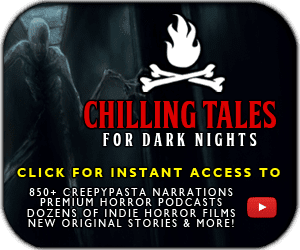 Mary had initially agreed, since I was not a newsman but rather an amateur writer gathering information for a few early college assignments and, if all went according to plan, some pieces of fiction. We scheduled the interview for a particular weekend when I was in Chicago on unrelated business, but at the last moment Mary changed her mind and locked herself in the couple’s bedroom, refusing to meet with me. For half an hour I sat with Terence as we camped outside the bedroom door, I listening and taking notes while he attempted fruitlessly to calm his wife. The things Mary said made little sense but fit with the pattern I was expecting: though I could not see her, I could tell from her voice that she was crying, and more often than not her objections to speaking with me centered around an incoherent diatribe on her dreams — her nightmares. Terence apologized profusely when we ceased the exercise, and I did my best to take it in stride; recall that I wasn’t a reporter in search of a story, but merely a curious young man in search of information. Besides, I thought at the time, I could perhaps find another, similar case if I put my mind and resources to it. In 2005, when I was only in tenth grade, smile.jpg was first brought to my attention by my burgeoning interest in web-based phenomena; Mary was the most often cited victim of what is sometimes referred to as “Smile.dog,” the being smile.jpg is reputed to display. What caught my interest (other than the obvious macabre elements of the cyber-legend and my proclivity toward such things) was the sheer lack of information, usually to the point that people don’t believe it even exists other than as a rumor or hoax. This purported reaction in the viewer is one of the reasons the phantom-like smile.jpg is regarded with such disdain, since it is patently absurd, though depending on whom you ask the reluctance to acknowledge smile.jpg’s existence might be just as much out of fear as it is out of disbelief. 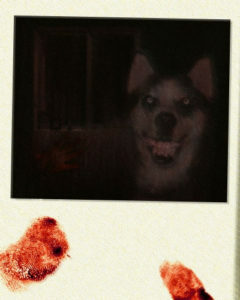 Neither smile.jpg nor Smile.dog is mentioned anywhere on Wikipedia, though the website features articles on such other, perhaps more scandalous shocksites as ****** (hello.jpg) or 2girls1cup; any attempt to create a page pertaining to smile.jpg is summarily deleted by any of the encyclopedia’s many admins. Encounters with smile.jpg are the stuff of internet legend. Mary E.’s story is not unique; there are unverified rumors of smile.jpg showing up in the early days of Usenet and even one persistent tale that in 2002 a hacker flooded the forums of humor and satire website Something Awful with a deluge of Smile.dog pictures, rendering almost half the forum’s users at the time epileptic. It is also said that in the mid-to-late 90s that smile.jpg circulated on usenet and as an attachment of a chain email with the subject line “SMILE!! GOD LOVES YOU!” Yet despite the huge exposure these stunts would generate, there are very few people who admit to having experienced any of them and no trace of the file or any link has ever been discovered. Those who claim to have seen smile.jpg often weakly joke that they were far too busy to save a copy of the picture to their hard drive. 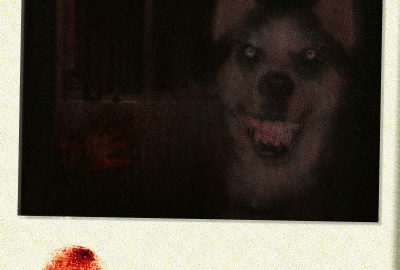 However, all alleged victims offer the same description of the photo: A dog-like creature (usually described as appearing similar to a Siberian husky), illuminated by the flash of the camera, sits in a dim room, the only background detail that is visible being a human hand extending from the darkness near the left side of the frame. The hand is empty, but is usually described as “beckoning.” Of course, most attention is given to the dog (or dog-creature, as some victims are more certain than others about what they claim to have seen). The muzzle of the beast is reputedly split in a wide grin, revealing two rows of very white, very straight, very sharp, very human-looking teeth. This is, of course, not a description given immediately after viewing the picture, but rather a recollection of the victims, who claim to have seen the picture endlessly repeated in their mind’s eye during the time they are, in reality, having epileptic fits. These fits are reported to continue indeterminably, often while the victims sleep, resulting in very vivid and disturbing nightmares. These may be treated with medication, though in someses it is more effective than others. It is not a dog, of course, though I am not quite sure what it really is. It tells me it will leave me alone if only I do as it asks. All I must do, it says, is “spread the word.” That is how it phrases its demands. And I know exactly what it means: it wants me to show it to someone else. Before you arrived I realized what I was doing: was plotting to ruin your life. I could not stand the thought, and in fact I still cannot. I am ashamed, Mr. L., and I hope that this warning will dissuade you from further investigation of smile.jpg. You may in time encounter someone who is, if not weaker than I, then wholly more depraved, someone who will not hesitate to follow Smile.dog’s orders. Terence contacted me later that month with the news that his wife had killed herself. While cleaning up the various things she’d left behind, closing email accounts and the like, he happened upon the above message. He was a man in shambles; he wept as he told me to listen to his wife’s advice. He’d found the diskette, he revealed, and burned it until it was nothing but a stinking pile of blackened plastic. The part that most disturbed him, however, was how the diskette had hissed as it melted. Like some sort of animal, he said. I will admit that I was a little uncertain about how to respond to this. At first I thought perhaps it was a joke, with the couple belatedly playing with the situation in order to get a rise out of me. A quick check of several Chicago newspapers’ online obituaries, however, proved that Mary E. was indeed dead. There was, of course, no mention of suicide in the article. I decided that, for a time at least, I would not further pursue the subject of smile.jpg, especially since I had finals coming up at the end of May. According to my email client there was one file attachment called, naturally, smile.jpg. I considered downloading it for some time. It was mostly likely a fake, I imagined, and even if it weren’t I was never wholly convinced of smile.jpg’s peculiar powers. Mary E.’s account had shaken me, yes, but she was probably mentally unbalanced anyway. After all, how could a simple image do what smile.jpg was said to accomplish? What sort of creature was it that could break one’s mind with only the power of the eye?